Those self-proclaimed foodies who like to choose a destination with great cuisine, rather than just beautiful scenery, will be happy to hear that the island of Koh Samui has a wealth of delicious eats. Here, the 10 best restaurants in Koh Samui. Found inside the Banana Fan Sea Resort is the delicious, beachside Baitong Restaurant. In addition to stunning views this coastal restaurant offers guests, it also has room for up to 40 diners inside its luxurious venue. Palm trees line the outside dining area ensuring the restaurant has a beach vibe that every visitor to the island will love. The menu has everything to appease even the pickiest of appetites, including European, Thai, and even vegetarian cuisine. The best part about this place is the entertainment, from fire shows to cabaret performances, depending on the day of the week. Be sure to check prior to visiting what is going on at Baitong before making your way to this stunning dining option. Koh Samui is the second largest island in all of Thailand, and with so much coastline to work with, you must try the seafood dishes before departing this particular paradise. 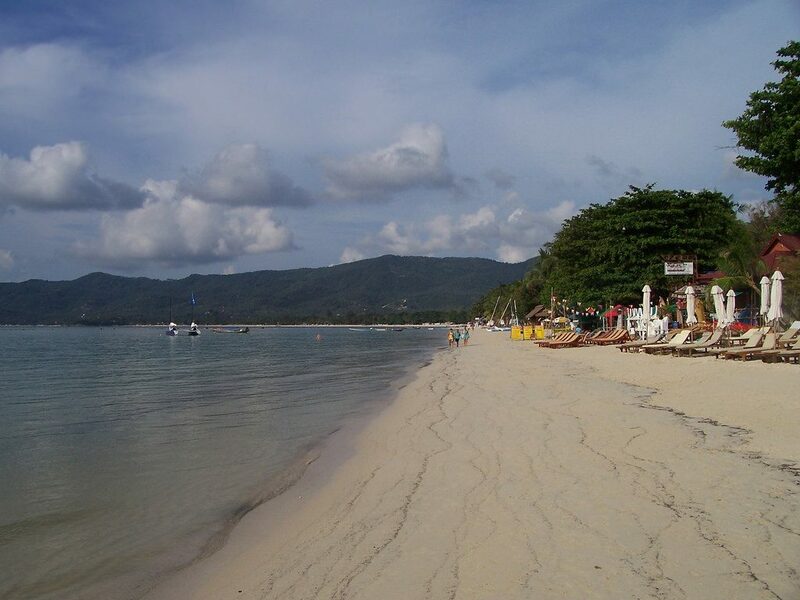 This is where Samui Seafood Grill & Restaurant comes in. The restaurant is the perfect venue for those who have yet to try any one of Southern Thailand’s most noteworthy seafood dishes, with lobster, prawn, and crab-based meals to choose from. Unlike many of restaurants that specialize in sea cuisine, Samui Seafood Grill & Restaurant is actually pretty affordable, despite its prime location near Chaweng Beach. The restaurant can accommodate up to 150 people, so bring your friends, families, and grab a few strangers to dine at this delicious, seaside eatery. Those in search of Koh Samui’s best 360-degree views need to head to Jahn. The Thai fusion cuisine served as Jahn is almost as noteworthy as the views from the luxurious venue, as it is cooked up by one of the island’s most renowned chefs. Chef Berm has quite the reputation for fantastic food. The restaurant is a bit out of the way unlike the rest of the restaurants on our list, but visitors will surely be pleased they made the trek after trying one of the delectable dishes founded at Jahn. The restaurant is super exclusive as well, with a smart casual dress code and a venue that only holds 28 people, so be sure to put on your best attire before heading to this excellent dining option. You no longer have to venture from the Land of Smiles to enjoy some of the most delicious Italian cuisines. Baci Italian Restaurant in Koh Samui pleases even those who hail from Milan and Rome with its delicious, authentic cuisine. The restaurant is under the watchful eye of Tiziana Vairolati, an Italian who has resided on the island for some 20 years. Though all of this restaurant’s Italian cuisine is noteworthy, pizza lovers will be delighted to hear that the restaurant is equipped with its own wood stove pizza oven, making you feel as though you have left the Kingdom and ventured to Europe for that perfect slice. 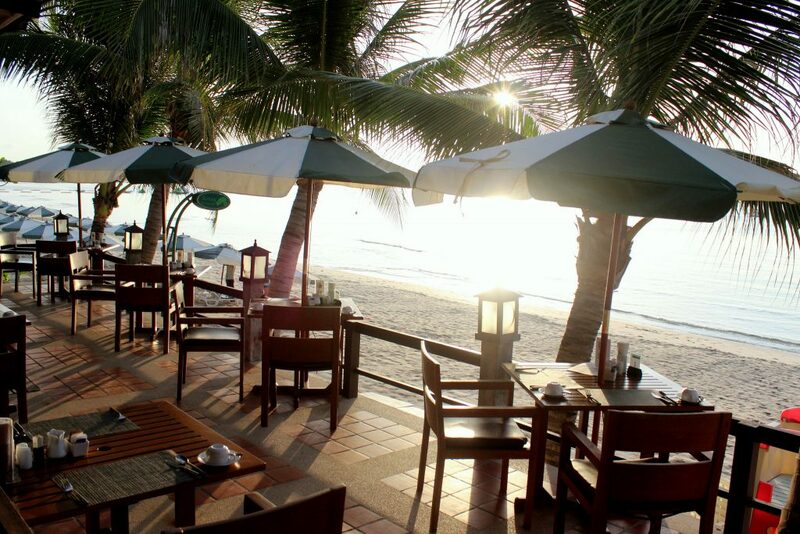 Restaurants do not get much more romantic than Zazen Restaurant on Koh Samui. The restaurant’s hanging and candlelit lighting lend the entire outdoor seating area a gorgeous red glow, the perfect place for couples to enjoy a nice meal together. The restaurant sits right along the Gulf, providing diners with some of the best views of the surrounding sea. Those looking for both delicious cuisine and an authentic Thai cultural experience will be happy to hear that the restaurant puts on a traditional Thai dance performance every Sunday and Thursday night. Diners can chow down on the amazing Thai and International cuisine while watching one of Thailand’s most coveted art forms come to life. Do not let the seemingly strange name fool you. Dr. Frogs Italian Bar & Grill serves up some of the most delicious cuisine on the island. The restaurant only opened in 2007 and has been impressing diners ever since. The restaurant’s décor is certainly striking, but it’s Dr. Frogs menu that keeps customers coming back for more. Chef Massimo Mariani is behind the dishes at Dr. Frogs, having hailed from Milan and bringing back more than a bit of his home country’s delicious cuisine to the island of Koh Samui. The menu aims to please all those who visit, with Massimo’s delicious Italian dishes, traditional Thai dishes, and a bit of seafood sprinkled in for good measure. Poppies Restaurant has the best of both worlds. With both International and Western cuisine to choose from, even the pickiest of diners will be able to find a dish that fits their culinary needs. The restaurant first opened in 1995, and since then it has been working to find new ways to impress its diners in terms of its aesthetics as well as its cuisine. Found near Chaweng Beach but away from the crowds, this is the perfect place to frequent if you want both a delicious meal and some much-needed privacy on a busy island such as Koh Samui. The restaurant has an Ayutthaya-style teak pavilion that overlooks its crystal clear swimming pool. Be sure to check out Poppies Restaurant on Saturday, when the restaurant has live traditional Thai music and dance performances for diners to enjoy with their delicious meals. Barracuda Restaurant combines unique Thai cuisine with distinct Mediterranean flavors, making for some of the most coveted dishes on the island. Found on the impeccable Maenam Beach, this restaurant has been dubbed one of the best on the island, since it opened in 2010. 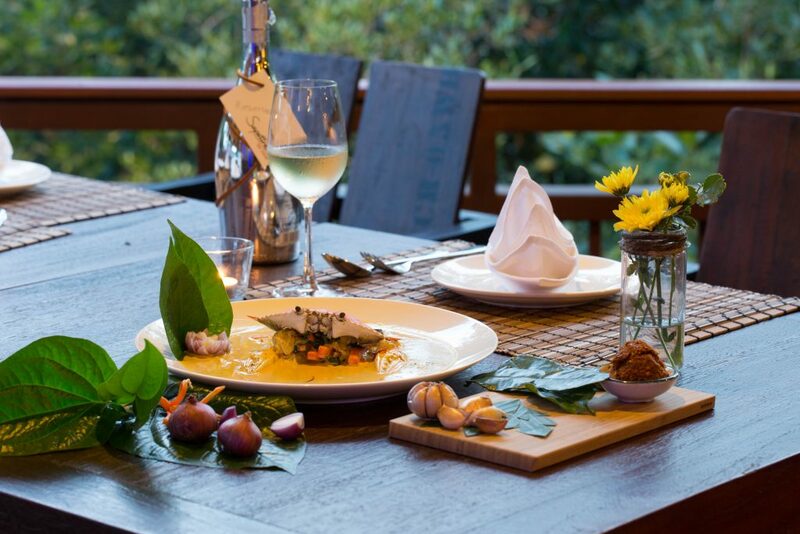 Owner and executive chef Ferdinand Dienst is behind all of the culinary delights at Barracuda Restaurant, which has been awarded titles including “Best Restaurant” by the Kingdom’s own Thailand Tatler Magazine. Seafood does not get any fresher than that being served at Supattra Thai Dining. Visitors can expect to come across Asian fusion dishes in combination with their favorite Gulf catches, all of which can be enjoyed in the restaurant’s outdoor dining area. All seafood served has been purchased fresh that day from local fishing boats, as opposed to being imported or farmed. This is why diners will not find a printed menu at Supattra Thai Dining: just a simple blackboard exclaiming what the delicious catch of the day is. Wooden tables and chairs add to the rustic vibe, with lush jungle surrounding the dining area. Cooked by Supattra herself, all of the dishes at this Thai restaurant aim to please even the pickiest of diners and are best paired with one of the restaurants many international wines. The restaurant has limited seating (about eight tables or so), so be sure to get there early to enjoy some of the best seafood on the island of Koh Samui. Usually packed with plenty of regulars is The Hut Cafe’. This Thai restaurant serves up local and tourist favorites at affordable prices, considering the cafe is found near the Fisherman’s Village Bophut, a more upscale part of the island.